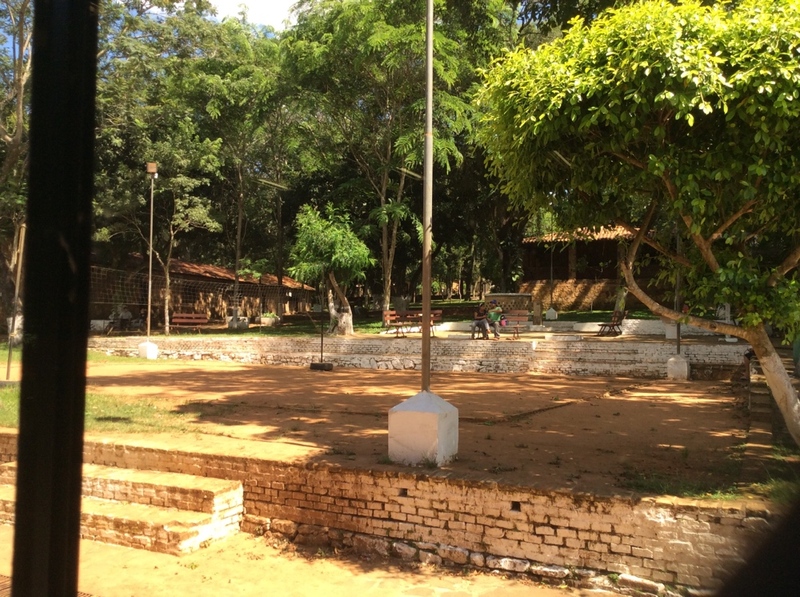 The Baptiste camp is a beautiful place! A mix of modern and rustic. As the thermometer reads 38 degrees centigrade. (Body temperature is 37 degrees centigrade.). So, you can imagine how thankful we are for air conditioning in our room! 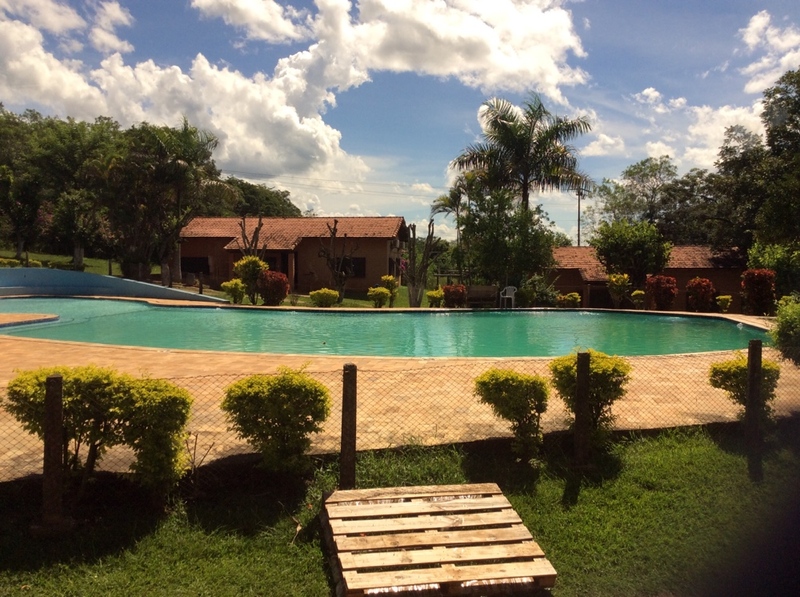 Our room is in a bungalow that has four bedrooms, each with a bunk bed and a double bed, and sharing two bathrooms with Carla and Fay and a couple who are here to direct the program for the children. 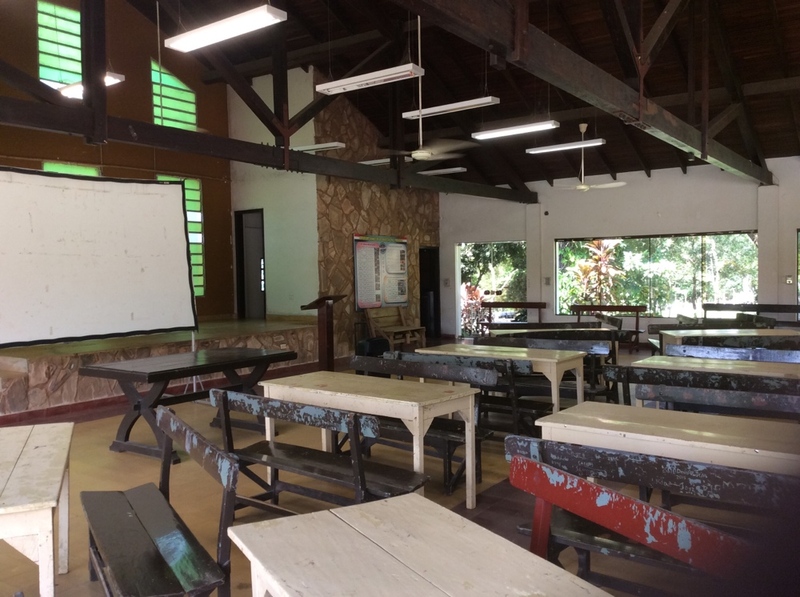 The cafeteria is a large building with no air conditioning, and our meeting building has air & fans. 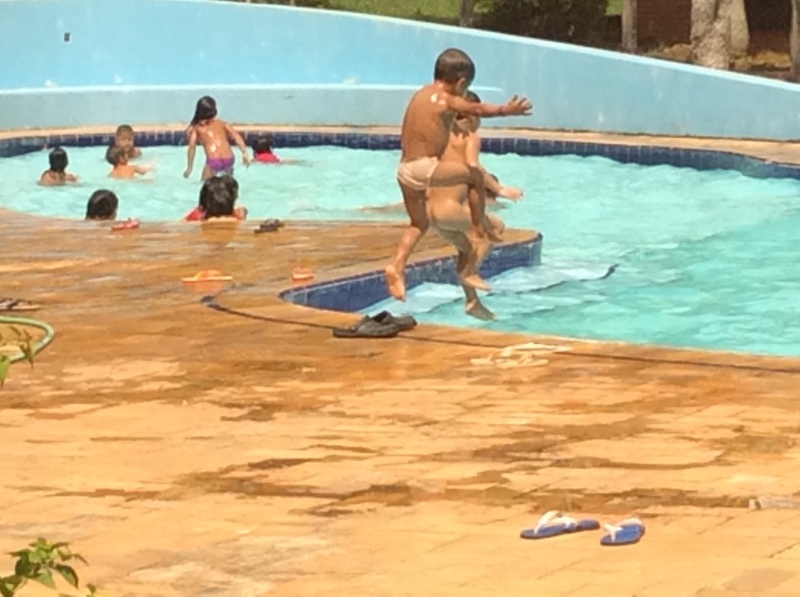 There is a beautiful pool, right now full of children – some totally naked and the rest just in their underwear. 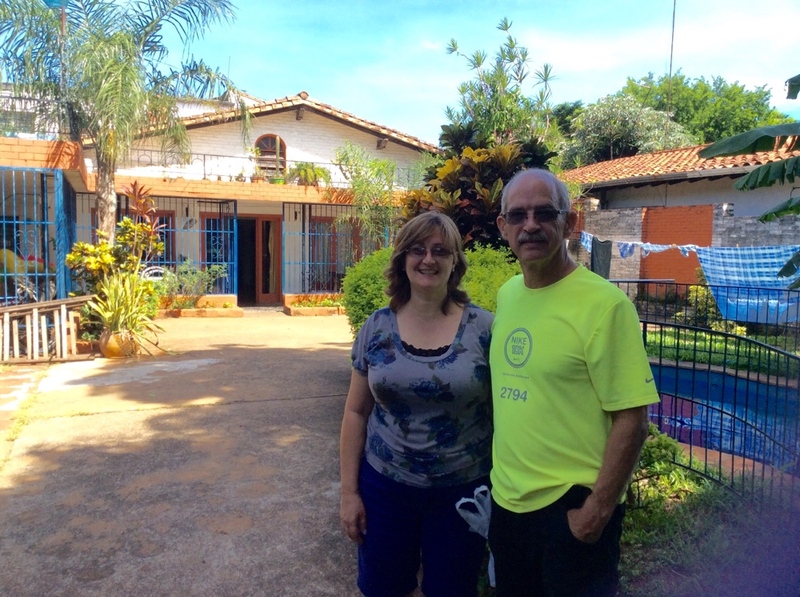 This is the guest house where we spent our first three nights and the couple who manage it, Tim and Robin Wagar. Our bungalow is on the right on the other side of the pool. This is the meeting room. 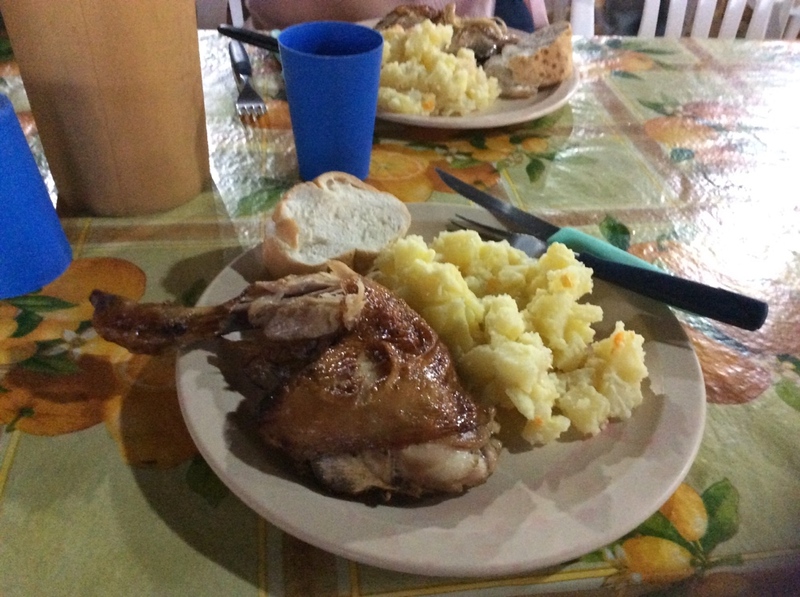 Our first meal at the camp was baked chicken and potato salad. 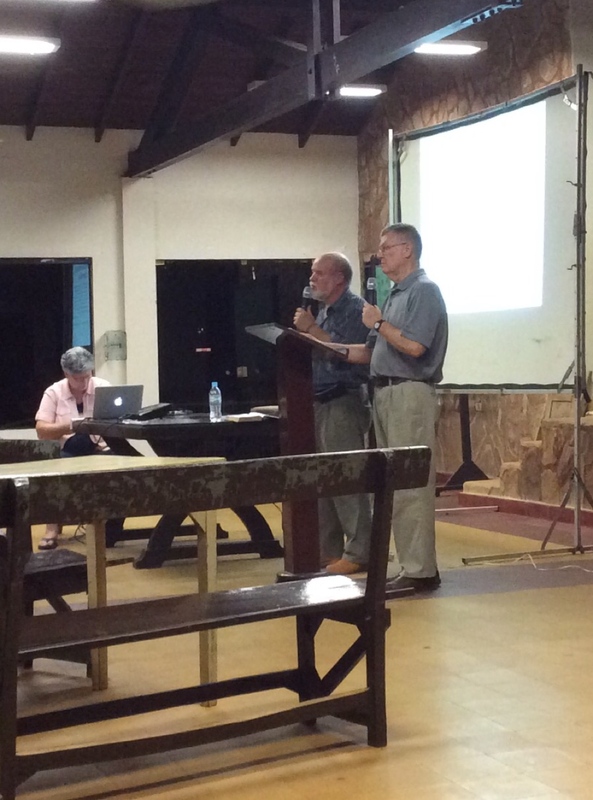 Dale speaking the first night, translated into BOTH Spanish and Ache by Bjarne. 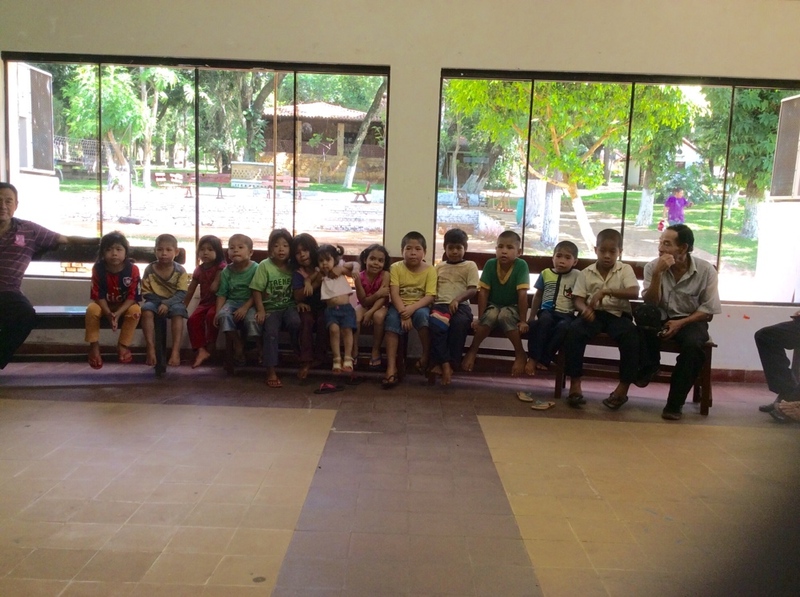 The children sitting quietly at our informative meeting upon arrival. They are behaving so well because the were promised that if they sit quietly for the meeting, they could go swimming. 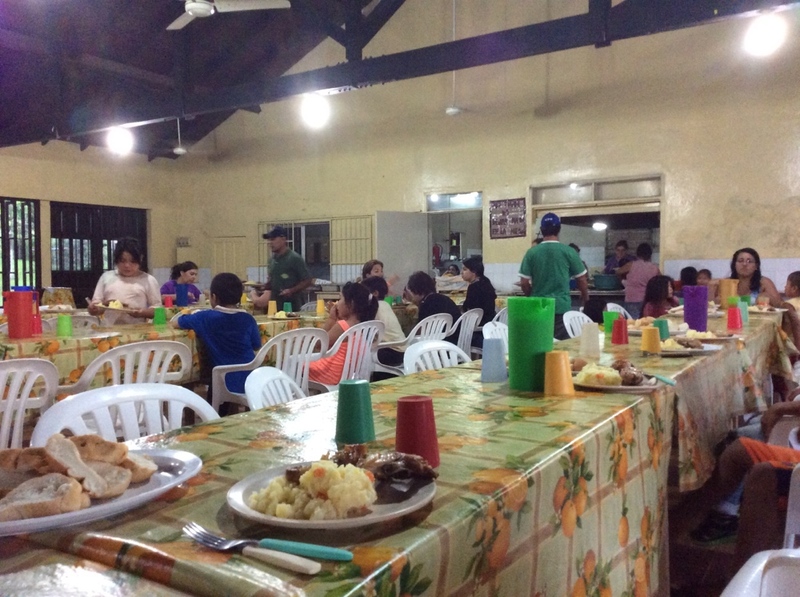 The man on the right is the pastor of the Ache church in Puerto Barra.